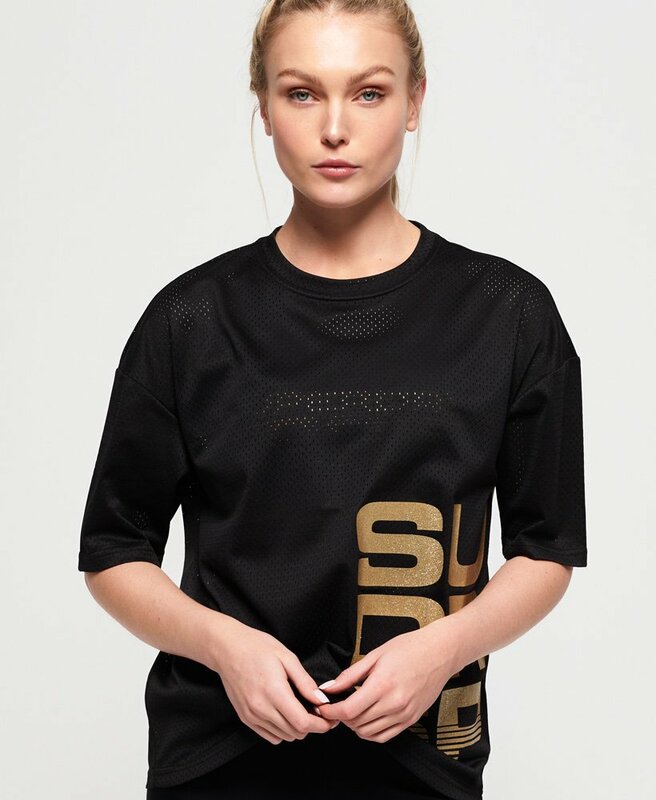 Superdry women's Bolt sport t-shirt. Get a sweat on in style with the Bolt sport t-shirt, featuring breathable quick-dry mesh material with moisture wicking technology to help keep you dry and comfortable. Also featuring stretch technology this t-shirt will move and stretch with you as you work out. This t-shirt is finished with a metallic Superdry graphic across the one side of the front and back.